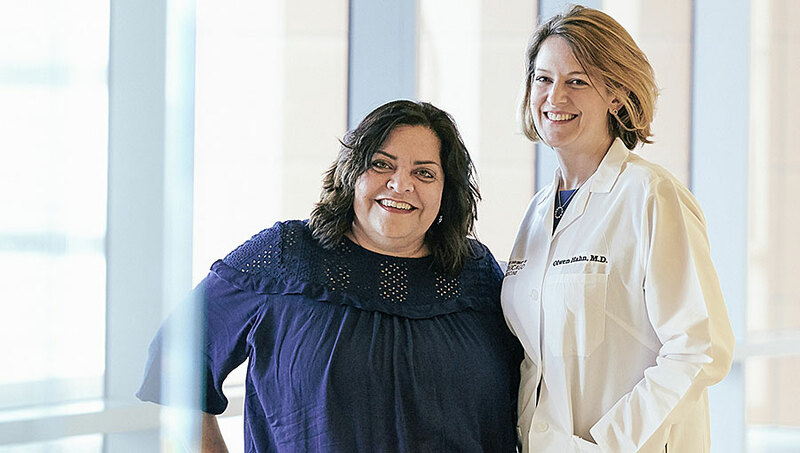 As you go through your metastatic breast cancer journey, you’re going to need help — perhaps just a little at first, but potentially more and more as time goes by. Most women pride themselves on their self-sufficiency; their ability to “do it all” — job, kids, housework, maintaining emotional relationships. But when serious illness strikes, it becomes critical to both accept and ask for help. As time goes by, you’ll develop a regular team of caregivers: medical, personal, emotional, and those lending a hand with simple everyday tasks. The thing is, though, caregivers are human, too; they need a regular “battery recharge” in order to best keep caring for you. Here are some tips on how to keep your caregiver team in top-notch shape. The Family Caregiver Alliance (FCA) offers an online “comprehensive library of resources and services” for caregivers taking care of loved ones with all kinds of medical issues. A short survey will help connect your caregiver with the resources most applicable to his or her situation. In addition, FCA offers a tool that will link caregivers to state-specific resources. One of the most discouraging requests a woman newly diagnosed with metastatic breast cancer may have is help with the mundane, everyday tasks she’s always handled so easily. You hate to ask your caregivers to clean your bathroom, rake leaves, or scrub the floor — but the work needs to be done. Luckily, you have options. Cleaning for a reason offers free cleaning services for women with cancer across the United States and Canada. And many high schools and colleges have organizations matching students with service projects; your local college may be able to send a strapping 21-year-old to wash windows, shovel snow… all free, if you’re undergoing cancer treatment. Your hospital’s social workers will be able to point you to any such services available locally. Your life partner — a spouse or significant other — is going through tough times, perhaps just as tough as you are. S/he could use a break. Ask friends to take care of your caregiver for a night: a movie and dinner, beer and a ballgame… Whatever will take his mind off you for a few hours (and the fact that he can’t “fix” things for you) will do you both a world of good. With all your caregivers do for you, meal preparation might just be something you can outsource to a group less involved with your daily care. First of all, some people actually love to cook; thus it’s the perfect way for any “foodie” family members and friends to show their support without making a long-term time commitment. Work colleagues are often a good source for meals; with the office communication infrastructure already in place, it’s usually pretty simple to set up a schedule of meal delivery a few times a week. Also, leave room in the meal schedule for takeout. You have family and friends who just don’t like to cook, right? Don’t torture them by suggesting that’s what you need. Instead, draw up a list of favorite restaurant meals, and tell them you’d LOVE a stuffed deep-dish pizza from Gilberto’s Saturday night… hold the mushrooms, please. Your chief caregivers show their commitment to you every day, whether by spending time with you, providing transportation, helping with chores, or simply making themselves a 24/7 sounding board for your emotional needs. They act out of love, and don’t expect payback. But that doesn’t mean you can take them for granted. Show your appreciation even when, in the midst of frustration and fear, you may not feel it. At those times, a simple “thank you” and a brief hug are sufficient. When you’re feeling good, think of ways you can let your caregivers know how important they are to you. Spend time listening to their needs, then come up with something that addresses them. Maybe you have a friend who spends so much time with you she often has to rush home to make dinner; give her at gift certificate so she can pick up takeout pizza some night. Or you have a caregiver whom you know is stoically dealing with his own stress. Call and set up a massage for him; some outpatient rehab facilities offer this service at a good rate. Caregivers are notorious for forgetting about their own needs; make it your goal to encourage and facilitate self-care for them as much as possible.